In addition sweet paprika seed oil contains monounsaturated fatty acids 10.5% (oleic acid) and saturated fatty acids 15.5% (palmitic acid). Due to the high content of carotenoids the oil has an intense red color. In addition this product contains capsaicin which is responsible for a slightly spicy taste and characteristic aroma. 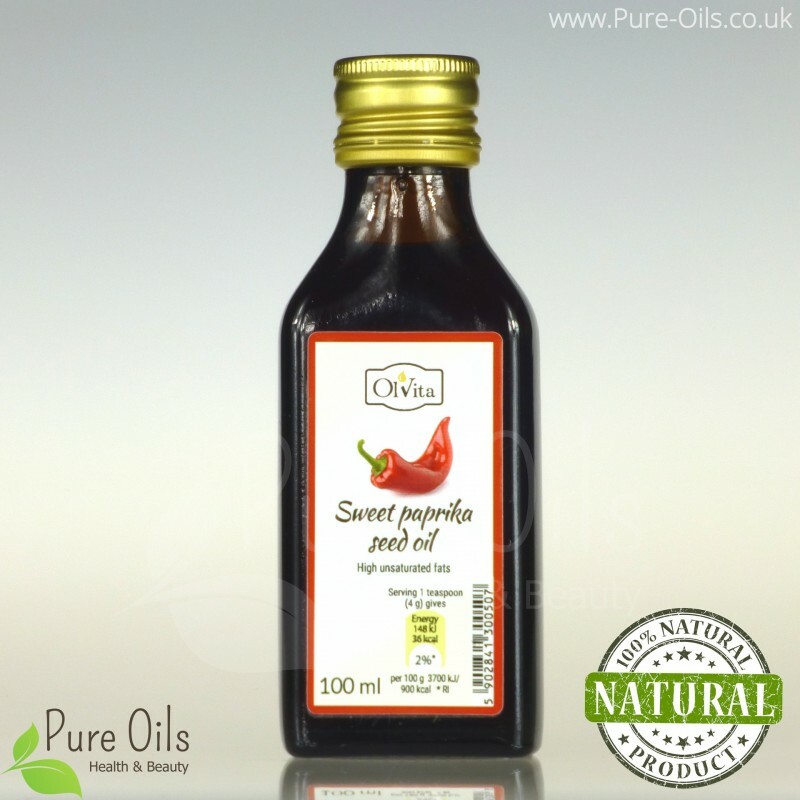 Sweet paprika seed oil has a positive effect on the condition of epithelial cells that is important for gastrointestinal tract, respiratory system, oral mucosa, stomach and urinary tract. Sweet paprika seed oil is a perfect for salads, cold dishes giving them a slightly spicy taste and for direct consumption. The product should be stored in a dark and cool place and after opening in the refrigerator. May contain: gluten, soy, sesame and nuts: peanut, walnut, macadamia and almonds.